Korean actors Song Kang-ho, Han Ji-min, and Gong Yoo headline this period thriller about an anti-Japanese independence organization called the Heroic Corps, who use violent means to achieve Korean independence. 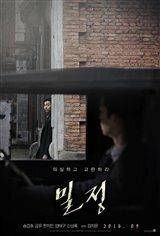 The film is set in the 1920s, as Lee Jung-chool (Song Kang ho), a Korean working for the Japanese police, is sent as a double agent to infiltrate the band of freedom fighters during the Japanese occupation of Korea, and expose the Korean resistance's second-in-command, Kim Woo-jin (Gong Yoo). To gather information on the group, Lee begins to bond with Kim, but after spending time with the rebel fighters, his mind is clouded with doubts about his dirty work for the occupying forces. When his allegiances shift, Lee's employers begin to suspect him.